The holidays are one of the most festive, and therefore, most decorated times of year. Unfortunately, the holiday season is also one of the busiest for firefighters. 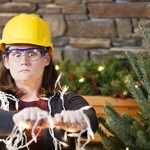 This is largely because all of the beautiful lights that you string across your home can also present a serious electrical hazard if the proper precautions are not taken. One of the best ways to improve the safety of your home and increase the life of your electronics is to make sure that your home is properly grounded. 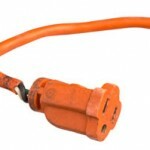 For your home to be properly grounded, there must be a physical connection between the ground and your home’s electrical components. 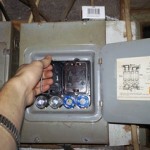 Electrical Service Upgrade – Do You Need One Now? As a rule, there are two main reasons to upgrade your electrical service: if it is unsafe, or if it is not big enough for your current electrical demand. In either case, an electrical service upgrade is very important to both your immediate safety and the future integrity of your entire electrical system. If your service is already unsafe, it is fairly obvious why this can be dangerous. Having a system that is not large enough to handle your daily demand, however, can lead to situations that are hazardous as well. A system that is too small typically results in overloaded circuits. This leads to tripped breakers, blown fuses and potentially dangerous shocks if these overloaded electrical circuits are not properly managed. 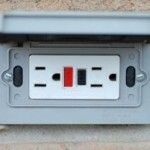 Posted in Electrical Safety on September 21, 2012 | Comments Off on Electrical Service Upgrade – Do You Need One Now? 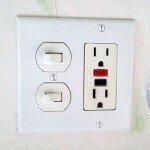 GFCI stands for Ground Fault Circuit Interrupter, an electrical device that offers protection against electrical shock. As a homeowner, the electrical codes keep changing to increase protection for you and your family. You should make sure your home has the proper protection, especially if it was built more than 25 years ago. Experts estimate that over 60% of all deaths from electric shock could be prevented if Ground Fault Circuit Interrupters were installed.